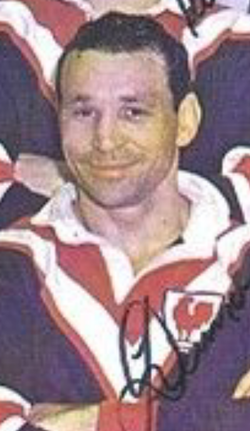 During his time at the Roosters ,he became known as a punishing defender and constructive ball player who was always in the thick of the heavy work. His badge of office were two cauliflower ears and assorted facial scars where he had been stitched together. After a distinguished career with Leeds and Eastern Suburbs , Louis moved to Orange in the NSW country competition where he captain/coached Orange Ex-services to two grand finals in the early 70s.